Hi everyone, welcome back to my arts and entertainment blog. It’s been a fair while since I last posted here, over 2 months! How have we all been? Me, i’ve been fairly busy working away and don’t seem to have had much time to myself. Though I’m starting to feel like it’s the same every year. One of the last posts I wrote before my unscheduled hiatus was about Art - Tracey Emin and Embroidery. It was the first of Art posts on this blog and today I wanted to expand on Art and ways in which we can all get involved. One of my other favourite art forms is in painting and today I wanted to talk through the different types of paints and ways you can use each of them. There are many different types of paints, and many different techniques to use them. And if you came across this article trying to find out what the best type of paint there is then unfortunately you might be disappointed to hear that there is no definite answer. There are 3 main paints; Acrylic, Oil and Watercolour. And the best type of paint to use will depend greatly on the skill of the painter, the subject and the patience given. Acrylics are definitely my favourite type of paint. They are a nice medium between the fine detailing of oil paints as well as the ease of use that you get from watercolours. They are the most forgiving of all paints and in my opinion the best started paint - although it is completely subjective. Issues with acrylic paints arise because they dry out very quickly and might not be long lasting as they have only been in use for 50 years. If you want to try out acrylic paints then you should have a look in second hand stores and online classified ads websites. Getting second hand deals means you can try before you spend a lot of money. I buy mine online here; www.used.forsale. Why don’t you try out: Matisse Structure Acrylic paints. 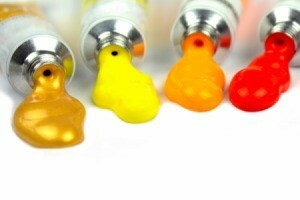 Oil paints are associated with traditional paintings and the Renaissance period. This is probably also why they are seen as a harder paint and not as commonly used. They are the best for light and contrast as well as durable and resistant over time. Unfortunately they take a long time to dry - 6 months plus. I buy all my cheap oil paints for sale online because you can find so many great bargains on websites such as http://www.used.forsale/oil-painting-supplies. The least expensive option, and the easiest to paint. Watercolours are great in tha you use only a small amount of paint and a lot of water when painting. They also offer bright and vibrant colours as well as great saturation and the paint dries rather quickly. You can buy lots of different watercolour paints online, try online classified ads websites such as www.used.forsale/watercolor-box. Why don’t you try out: Winsor and Newton. Thanks for reading. If you haven't already please check out my latest blogpost: www.timbasalsa.com/futurama.